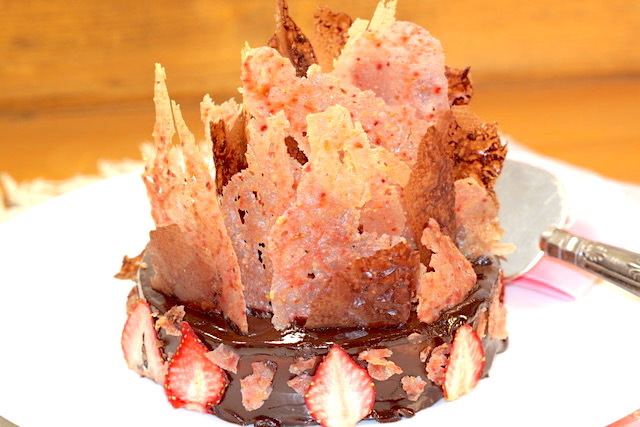 Feuillette of Chocolate or Strawberry is a unique garnish that can be used for any style of dessert, whether it is a mousse, panna cotta or as in the recipe for A Sweetheart Chocolate Torte with Feuillette, a stunning garnish crown. 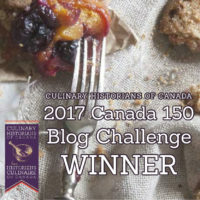 It has been adapted from recipes utilized in my chef competitions. This recipe makes just a small amount (a little paste goes a long way); therefore, I find that utilizing a scale (weight in grams or oz.) is the simplest and most accurate method to make the feuillette paste. 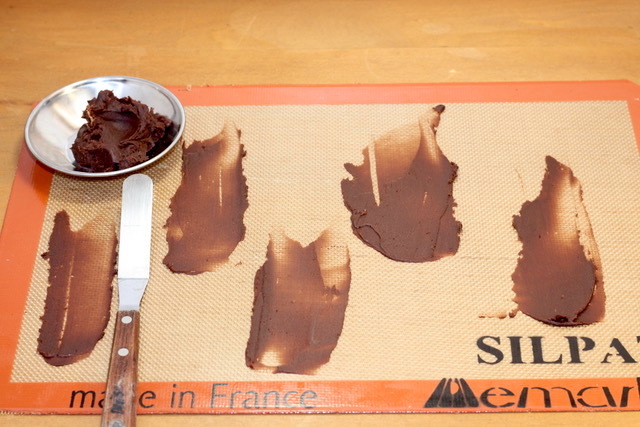 The chocolate feuillette paste is made by using cocoa powder for colour and flavour. The garnish’s chocolate flavour is well pronounced in the finished product. The strawberry feuillette paste is made from dried strawberries. 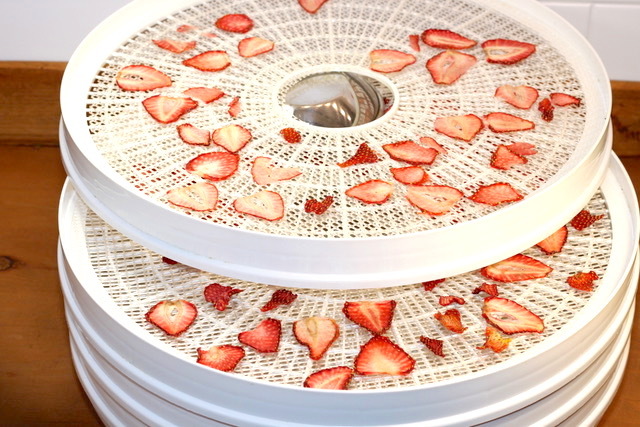 I used my food dehydrator to dry thinly sliced strawberries. This process took about 2 hours to achieve a crisp result. The dried strawberries are then pulverized in a spice grinder. The strawberry paste made from this powder is delightfully tasty, with just enough texture to create a translucence appearance! My grandchildren say they look like fairy wings, as you can see from the video. It is important not to over bake the strawberry feuillette, as they will lose their delicate pink hue. 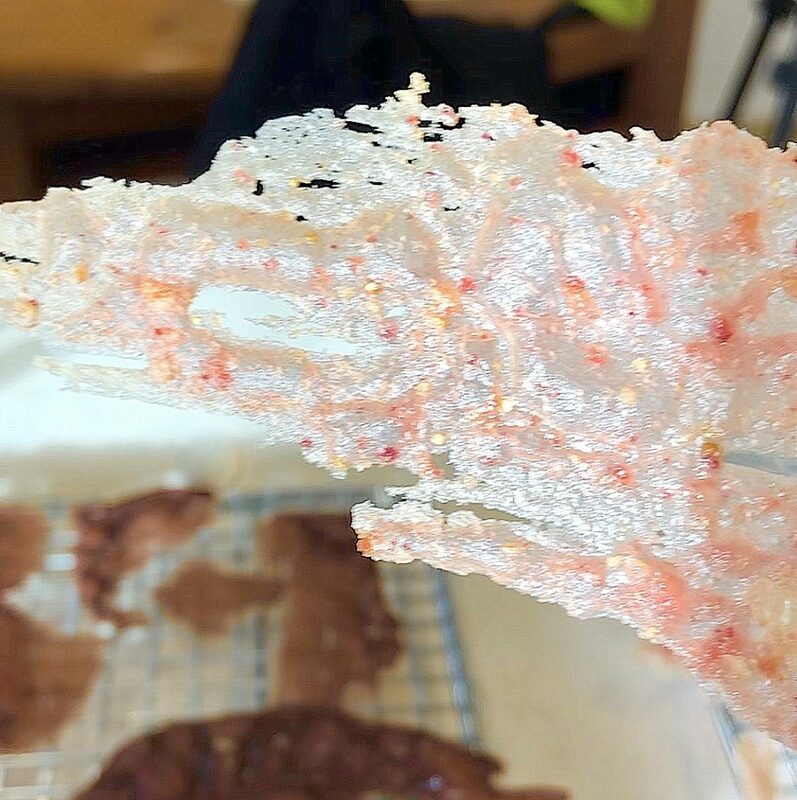 I did not use any food colouring in my feuillette paste recipe; however, you can add a drop or two of pink or red food colouring to achieve the desired colour. 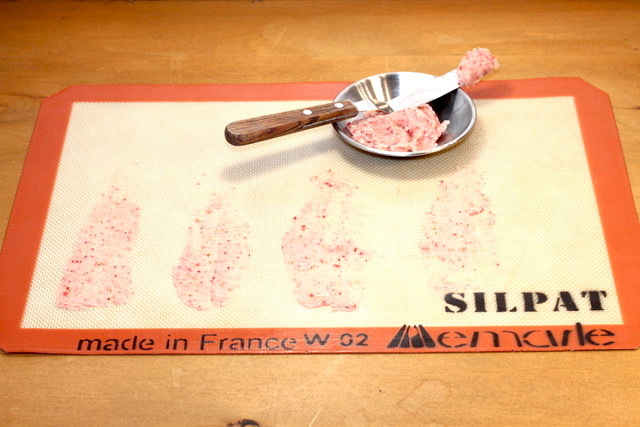 Spread the paste in a thin layer on Silpat baking mats using an off set spatula. Start from the bottom of the feuillet and spread upwards. The bottom will be slightly thicker spreading to a thin imprecise ‘schmear’ (pastry chef slang). Bake in a 350oF (325oF Convection) for 5 – 6 minutes. The feuillette will look bubbly and will not show any moist spots. They will crisp up as they cool. Allow the feuillette to come to room temperature. 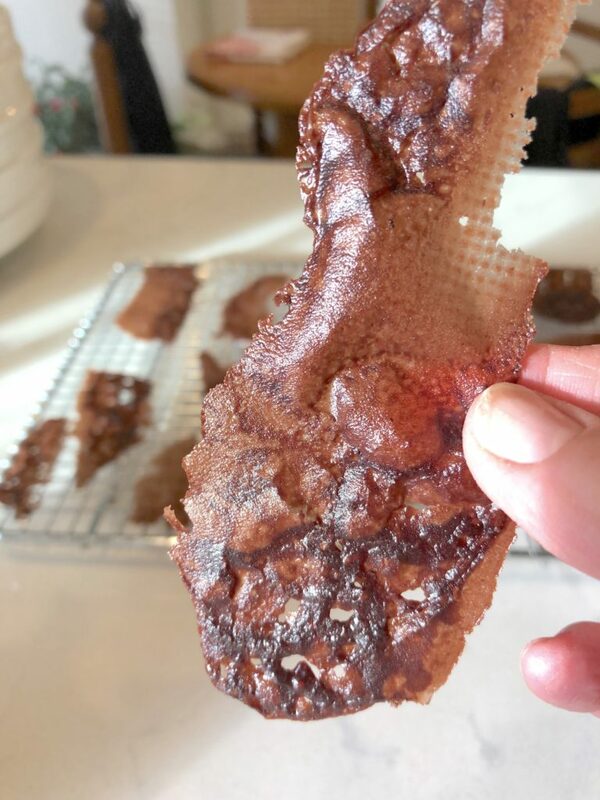 Using an off set spatula, slide it under the thickest edge of each feuillet, and slide upwards to lift it gently from the Silpat baking sheet. Line all the feuillette on a cookie rack until you are ready to decorate the torte. CHEF TIP: These garnishes are very fragile, light and almost see-through delicate. Make as many as you need at a time (make a few extra to allow for breakage). Store any unused paste in a covered container in the refrigerator. Bring the paste to room temperature before using. 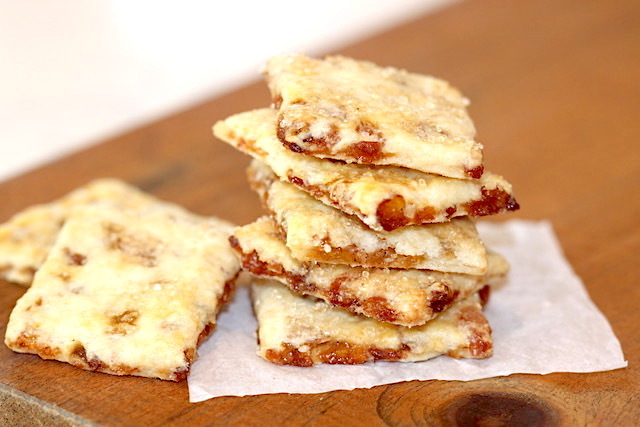 Store any extra baked feuillette in an airtight container at room temperature. 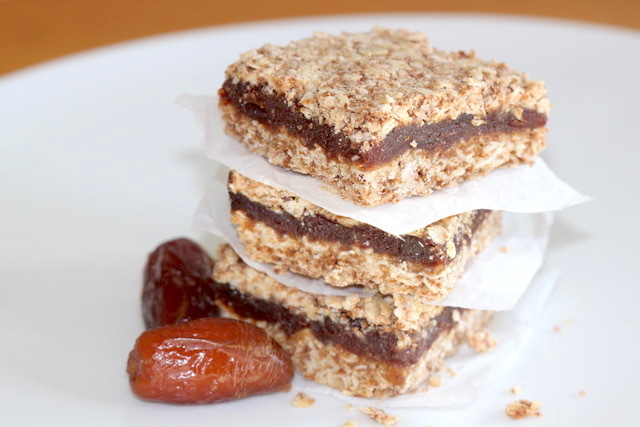 They are excellent crumbled on ice cream, crème brûlée, panna cotta or simply nibble on them. 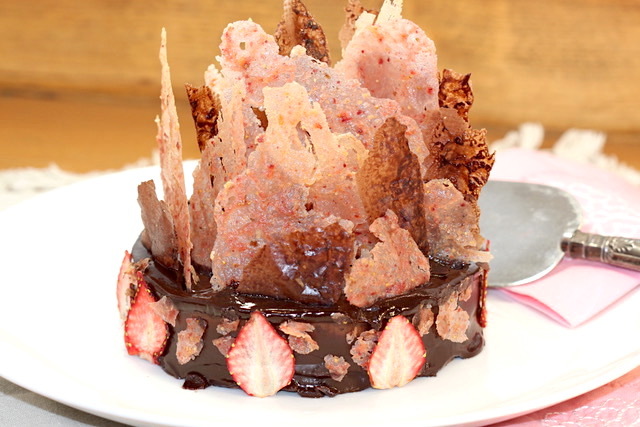 If you try my recipe for Feuillette of Chocolate and Strawberry dessert garnish, please leave me a comment below with your feedback. Don’t forget to pin this recipe for later!